Some time back in March, that familiar itch started. 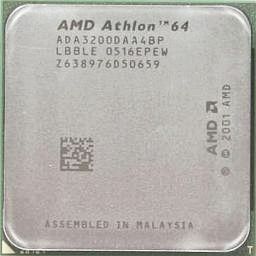 I'd been running an overclocked Athlon XP "Barton" system since late 2003, but had been reading very good things about the Athlon 64 processors. In addition to its performance advantage over the Athlon XP on a clock-for-clock basis, I was also intrigued by the superior memory system performance offered by the Athlon 64's onboard memory controller, particularly in dual-channel mode on Socket 939 motherboards. 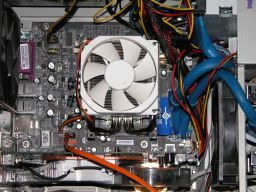 I'd built a couple of basic Socket 754 A64 systems for a friend, and was impressed by their performance, even without any overclocking. I'd also came across some encouraging overclocking results reported on the relatively new 90nm "Winchester" core A64's, with many instances of users achieving clockspeeds in the 2500 - 2700MHz range with modest voltage increases and air cooling. So, when another friend approached me about building him a system but said he wanted to keep the price down, I saw a win-win scenario for both of us. 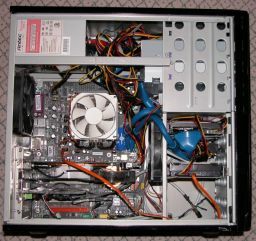 We agreed that I would build him a PC around my existing Athlon XP processor, nForce 2 mobo and PC-3200 memory, allowing me to use the proceeds to (partially) finance an upgrade of my system to an A64/Socket 939 combo and some faster RAM. As the basis for this upgrade, I chose the Winchester 3200+ chip, primarily because I wanted the added flexibility of the 10x clock multiplier that the 3000+ version wouldn't give me. Because I'd purchased a new Geforce 6800GT AGP video card just a few months back, I needed to stick with an AGP Socket 939 motherboard, ruling out the new PCIe-based nForce4 boards. After doing some research, I settled on the popular MSI K8N Neo2 Platinum nForce3 Ultra board, based upon the combination of a rich feature set and a reputation for excellent overclocking performance. For memory, I wanted 2 x 512MB modules of DDR-RAM that would be capable of speeds in the 270MHz range, and settled on OCZ PC3700 Gold Series Rev. 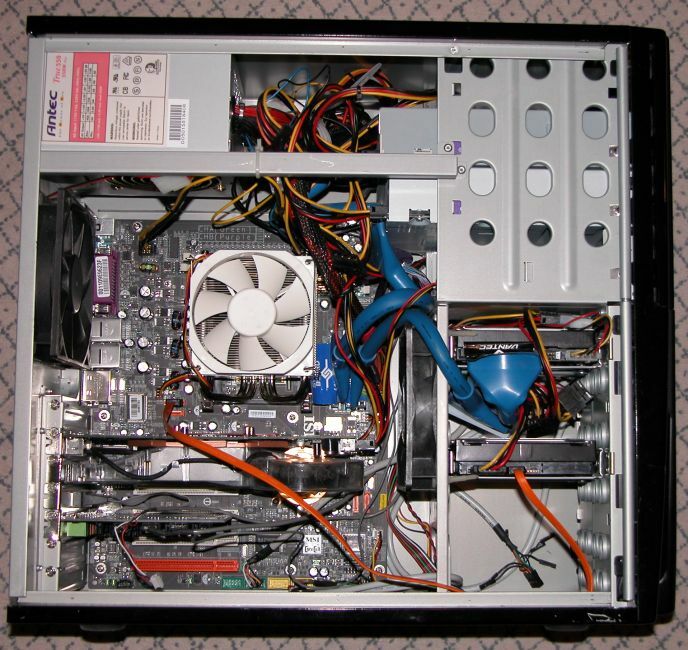 3 memory after reading THIS REVIEW at AnandTech. This memory offered excellent performance in the frequency range I was looking for, without getting up into the price range of some of the super-premium memory brands. 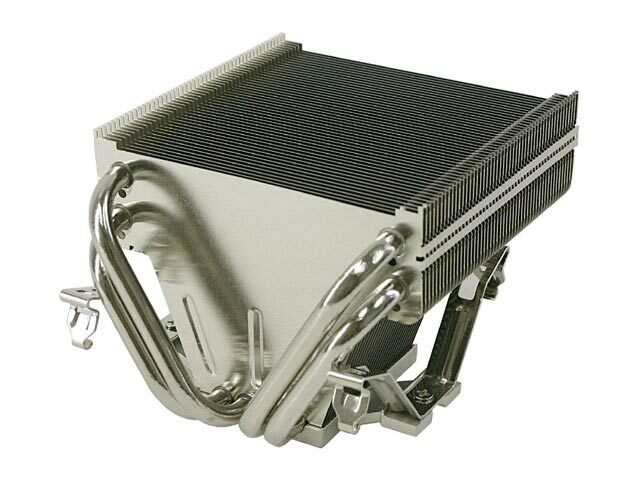 Lastly, for a good A64 cooler, I chose the impressive Thermalright XP-90 with its heat pipe technology and large cooling area. The total investment for the new CPU, motherboard, memory and cooler came to just under $600, including shipping. Luck of the draw - Let's face it--there's a significant amount of chip-to-chip variability between different samples of the same type of processor, especially over a range of production weeks. So while all the children in Lake Wobegon may be above average, that's certainly not true of CPU's. Maybe mine just comes from the left-hand side of the bell curve. Normal statistics says that's going to happen half of the time. 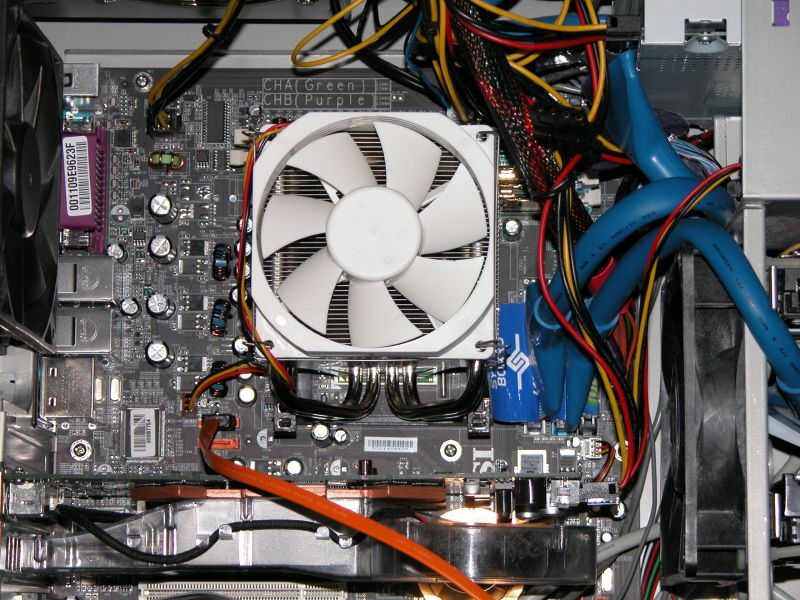 Users generally don't report the bad ones - When you read through user reviews on a site like NewEgg or results posted on hardware-oriented forums, keep in mind that the people with low-to-middling overclocking success are not nearly as motivated to be posting their results. It will tend to be those individuals who felt they got an outstanding value or want to "show off" a bit who are most likely to post. So reading through those postings is likely to give you a distorted view of reality, since they tend to contain a disproportionate number of success stories. 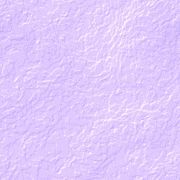 Rumor has it the early '05 Winnies just weren't as good - As I've poked around on the web, this point comes up again and again. It's anecdotal information that I've never seen backed up with any statistically significant data, but it appears to be widely accepted as true. The claim is that the Winchester 3200+ chips that first appeared back in the fall of 2004 tended to have considerably more overclocking "headroom" than the ones produced just after the turn of the year. It's not clear if this is just result of natural variation in chip fab production yields or perhaps reflects the practice of "binning", i.e. testing and segregating production, with the processors capable of higher clockspeeds being sold as the higher priced 3500+ version. In any case, I encountered numerous references to this phenomenon, and my particular chip was manufactured during the 3rd week of January. Now, don't get me wrong--at 2.35GHz, the Athlon 64 is plenty fast, equating to more than 3700+ speed on the Athlon 64 rating scale. My disappointment was not with the performance of the chip itself, but rather with the fact that it didn't hit the clockspeed levels attained in so many of the reviews and user comments I'd read. But with excellent overall system performance and the blazing 3D gaming speed that the A64/Geforce 6800 GT combo gave me, I quickly forgot about this less than stellar overclocking outcome and simply enjoyed the fruits of a worthwhile upgrade. I ended up running at an HTT setting of 261MHz and a multiplier of 9, with the memory set 1:1 with the HTT frequency. This allowed me to run the processor at the 2.35GHz maximum I'd previously determined, but with improved memory performance from the higher HTT value. Because my OCZ PC3700 memory maxed out at just over 270MHz, I couldn't drop the multiplier to 8.5 and further raise the HTT to 276MHz. 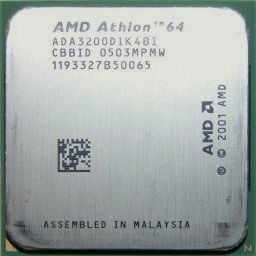 When I was spec'ing out the A64 upgrade, I had come across several references to the soon-to-be-released "Venice" core Athlon 64 processors, a.k.a. revision E3. However, the advantages offered by this new core vs. the Winchester core didn't appear all that interesting to me. The Venice processors support SSE3 instruction sets, but little or none of the software and games I run use them. The Venice's memory controller allows the user to run mismatched memory DIMMs and will maintain DDR400 speed with all four memory slots filled, but again, this held no benefit for me, since I run two sticks of matched memory. And the Winchester already used the 90nm fab process and lower core voltages that the Venice offered, so no advantage was apparent there, either. Consequently, I had gone ahead with the readily available Winchester core CPU, rather than wait for the Venice processors to hit the shelves. The physical process of attaining an optimal Athlon 64 overclock has been well documented numerous places on the web, so I won't go into that here. Basically, you're adjusting the HTT frequency, the CPU clock multiplier, and (if necessary) the memory multiplier. Incidentally, Athlon 64's are "up-locked", i.e. you can set CPU multiplier values lower than the default, but not higher, except on the high-end "FX" A64's, which use completely unlocked multipliers. It can be a somewhat drawn out and tedious process, since many hours of stress testing need to be done to confirm system stability as the clock frequencies are increased. But it's a necessity in order to get the best combination of processor, memory and overall system performance and stability. If you're interested in knowing more, I'd point you to these links at PC Perspective, Madshrimps and HardForum as good places to start, and additional information is just a Google search or two away.